JE Pro Seal is one of the industry leaders when it comes to piston ring and sealing technology. Their high performance products are featured in many professional race engines such as NASCAR, NHRA, and World of Outlaws. They now offer a quality line of gaskets that are full of exclusive features you won't find on any other gaskets. Step up to race proven JE Pro Seal Gaskets for your car today! All JE Pro Seal Head gaskets are made from only the best raw materials available including AISI 304 Stainless Steel. JE utilizes state of the art in-line laser cutting and multi stage embossing technologies to ensure you get the highest quality gaskets. Also, every layer of the multi-layered steel gaskets is individually cut and formed to optimize performance. Multiple layers are used to maximize the seal between the head and block mating surfaces. These coatings eliminate the need for additional deck surfacing. JE's Coating process provides 100% encapsulation of all exposed metal providing you with superior protection compared to other gasket brands. ·Optimized Embossing FormationThe highly advanced embossing process on JE's multi-layered gaskets optimizes the radius in crucial bend areas. The result is a reduction in stress points, improved conformability, and superior wet-out (contact area) that is far better than the competition. This gives you the best possible seal in the embossed areas. This proprietary tempering process significantly reduces forming induced stress. Advantages of a tempered metal are reduced hardness and brittleness, increased flexibility and deformation retention. 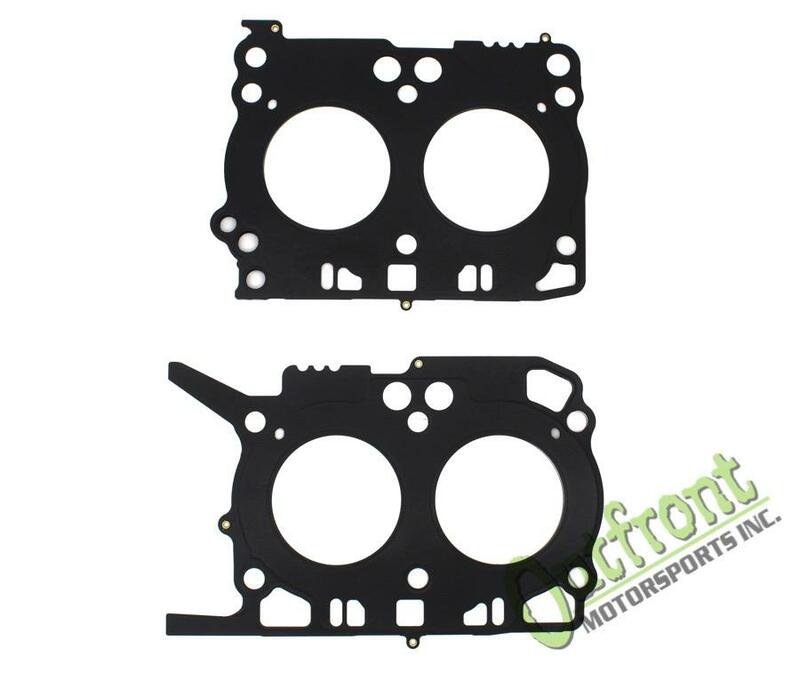 This process dramatically increases the long term durability and reliability of each head gasket.